I am a professor and faculty member since 2005. I completed my gynecologic oncology fellowship at Yale University, residency at Case Western Reserve University (MetroHealth) and the Cleveland Clinic Foundation, medical school at Wayne State and earned my undergraduate degree at the University of Notre Dame. 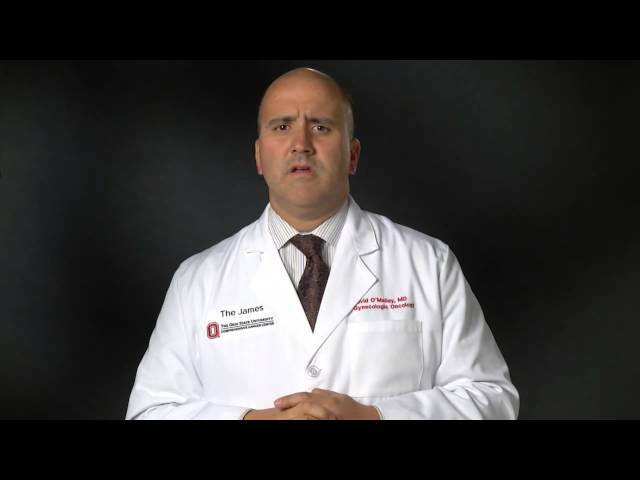 I am the director for clinical research in gynecologic oncology, as well as the co-director of the gynecologic oncology phase I program, and I also serve as the ORIEN physician liaison for the Ohio State University Comprehensive Cancer Center. I am active nationally as a committee member for the NCI Gynecologic Cancer Steering Committee’s Ovarian Task Force, NRG Oncology (Ovarian Cancer and Developmental Therapeutics Groups), Society of Gynecologist Oncology and the American Society of Clinical Oncology. My passion for improving the care of patients with gynecologic cancers and expertise in ovarian cancer resulted in my appointment to the panel of the National Comprehensive Cancer Network (NCCN) Guidelines for Ovarian Cancer, where I continue as an active participant. My drive to have no patient with a gynecologic cancer succumb to their disease guides my research that specializes in the development of therapeutics/treatments for gynecologic cancers, concentrating on ovarian and uterine (endometrial). I have designed, coordinated and published on all levels of clinical trials to include phase I, II and III studies with a special interest in novel compounds. I continue to work to improve not only the therapies (novel techniques/targets/immune therapy) but to identify patients who would benefit (or not benefit) from different treatment options in ovarian and uterine cancer (specifically high-risk histologies) while minimizing side effects. The quest to improve patient outcomes has led me to my work on improving surgical techniques. 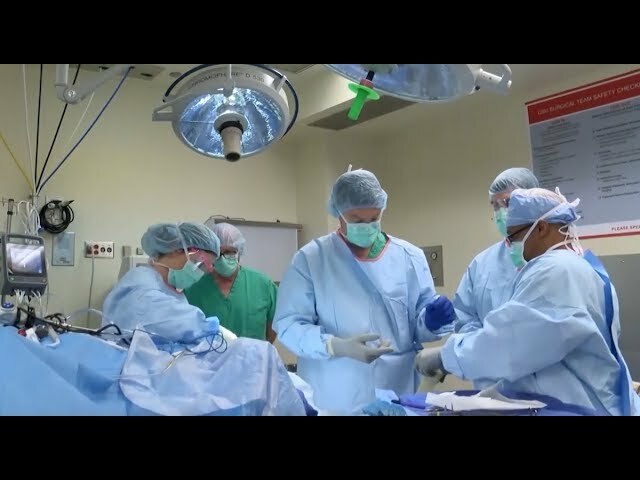 Robotic-assisted, minimally invasive surgical techniques have been implemented in all aspects of practice, resulting in the publication of the improved outcomes and as an instructor on these techniques at a national level. I am honored and humbled to help care for the amazing women who are my patients and their families. Improving the care of women with gynecologic cancer through research has led to me being recognized with over 100 publications in the most respected journals, including New England Journal of Medicine, Journal of Clinical Oncology, Lancet Oncology, JAMA Oncology and Nature Genetics. My compassionate nature and communication has been recognized with patient satisfaction that ranks at the very top for the country. My accomplishments have also resulted in being named as one of the Best/Top Doctors in America by US News and World Report (Castle Connelly) and Best Doctors for multiple years. However, my greatest pride comes from my family and my beautiful wife and our five amazing children. As of 12/20/2018, Dr. O'Malley has reported relationships with the companies or entities listed below. If you have questions about the relationships listed below, please ask the faculty member. If you have questions about how these relationships are monitored by The Ohio State University Wexner Medical Center, please contact our Compliance Office.